Madame Pomreeda’s crystal ball is really something! But she will share what she sees in it with you only if you prove to be worthy enough. Will Madame Pomreeda share her insights with your kids? 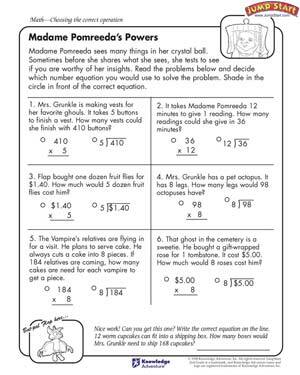 Give them the ‘Madame Pomreeda’s Powers’ math worksheet and find out! It’s a great way to test the kids’ math skills!